Qian Songyan was born in Yixing, Jiangsu province. He studied painting and calligraphy at a private school before attending a further education college. 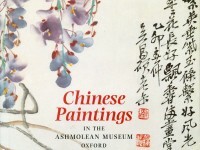 He subsequently taught at several schools, but spent most of his career at Wuxi Art College in the same province. He travelled extensively within China and is known primarily as a traditional landscape painter. The scene depicted in Mt. Huang. 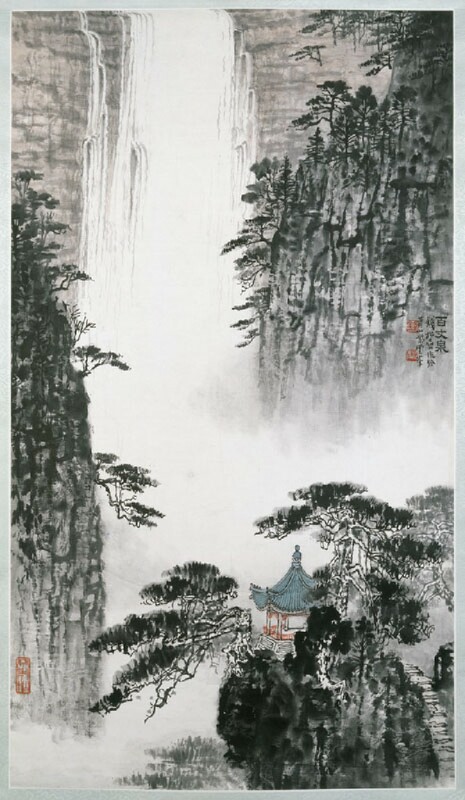 This painting shows the artist’s well-trained skills of traditional landscape painting. Unlike his other landscape paintings displayed in this exhibition or later reprinted in propaganda posters [see EA2006.21 featured in the partner exhibition Cultural Revolution: State Graphics in China in the 1960s and 1970s ], this landscape features waterfalls, rocks, pines and a pavilion, the routine subjects in the tradition of depicting Mount Huang.